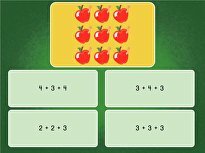 Make practising maths fun with maths puzzles. 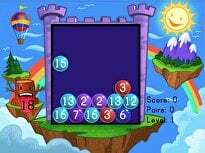 Your child will learn the basics of solving logic problems as he reviews some basic addition. Any Sudoku or KenKen lover is sure to enjoy these challenging puzzles! He'll practise doing addition facts in his head, and build logic skills. 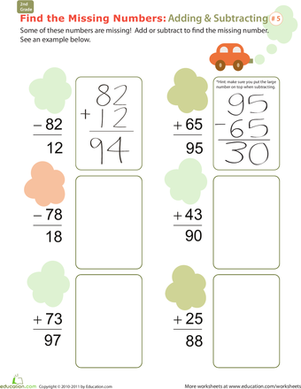 To complete this adorable worksheet, have your second grader re-write each addition equation vertically and then solve using regrouping. 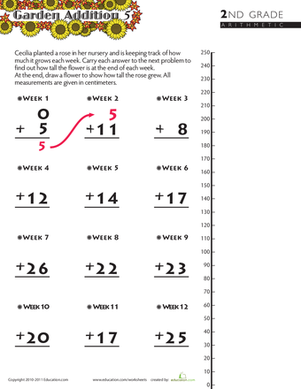 This colorful worksheet asks your second grader to use his addition skills to help Cecilia figure out how much her rose is growing per week. 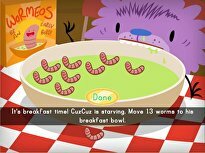 Two-digit addition got your second grader down? 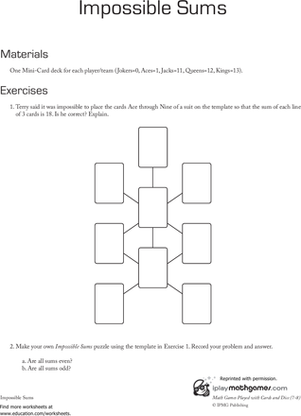 Liven up maths practise with this extraordinary worksheet. Children practise addition with carrying and get to colour, too! 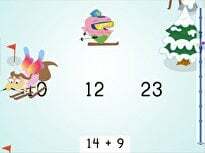 This addition puzzle is a great maths challenge. 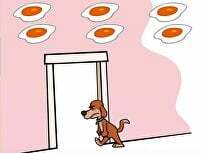 Experiment with the number combinations to find the requested sums. 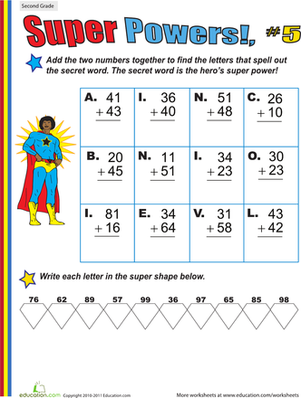 The fifth page of this series takes things up a notch for your child, whether she's building addition and subtraction facts fluency or just practising.